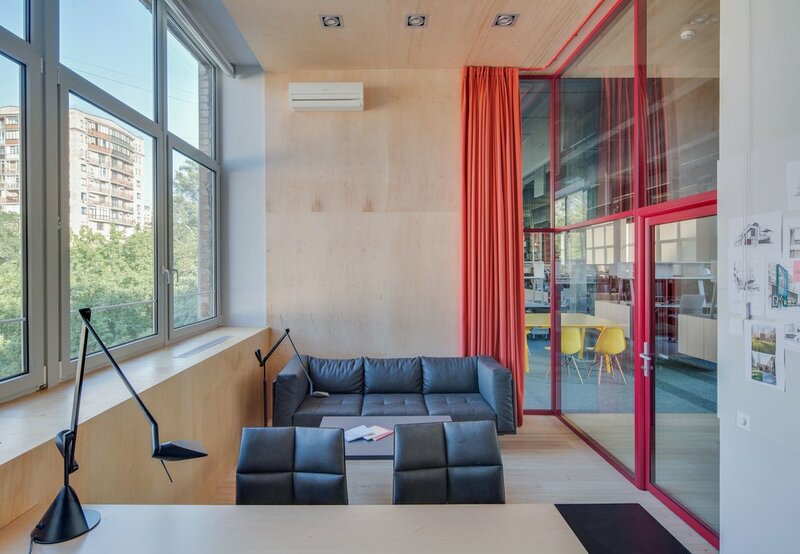 Archimatika is the office of an architectural bureau. Some time ago we made a decision to step away from the large-scale architecture and focus on interior design. For us, being a small architectural workshop, this project became our first commission from a great architectural bureau. The project has confirmed that jobs are best done by specialists. 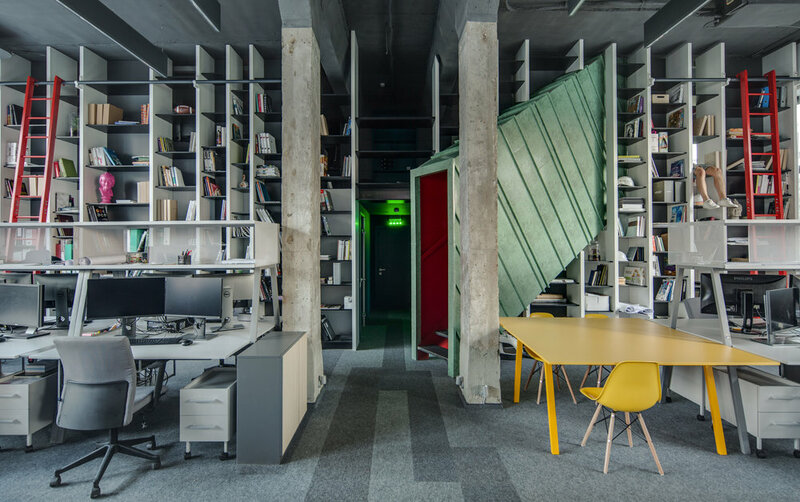 Together with architects from Archimatika we developed a general concept, which determined the overall style and included details such as office furniture design, as well as tables, desks and lockers sizes. It was a very interesting experience that led to the creation of an unusual facility.